Sally Hanes Donahue, 58, of Greene Twp., passed away unexpectedly following a brief illness on Saturday September 1, 2018 at Allegheny General Hospital. She was born in St. Mary's, PA on July 10, 1960 a daughter of Harvey and Nancy Prudich Hanes. 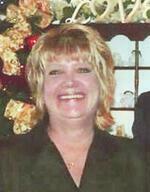 Sally graduated from St. Mary's Area High School and worked at General Electric for many years. She enjoyed camping, campfires, and keeping a clean home. Sally was always willing to help anyone who needed a helping hand. In addition to her parents survivors include her husband, Timothy Donahue; two sons, David Mancuso, Jr. and his wife, Faith, of St. Mary's and Shawn Mancuso and his wife, Rikki, of Blairsville, PA; two daughters, Jennifer Mancuso of Erie and Melissa Mancuso of St. Mary's; two sisters, Angie Luchs and her husband, Chuck, and Barbara Lanzel and her husband, Paul, all of St. Mary's; nine grandchildren, Deziree, Allisyn, Madilyn, Xavier, Chloe, Trevor, Tiana, Landen, and Carmine; and many nieces and nephews. Funeral services and burial will be private and at the convenience of the family. Funeral arrangements were made by the Russell C. Schmidt & Son Funeral Home Inc., 5000 Wattsburg Rd., Erie, 16504. To send flowers to the family of Sally Donahue (Hanes), please visit our Heartfelt Sympathies Store.